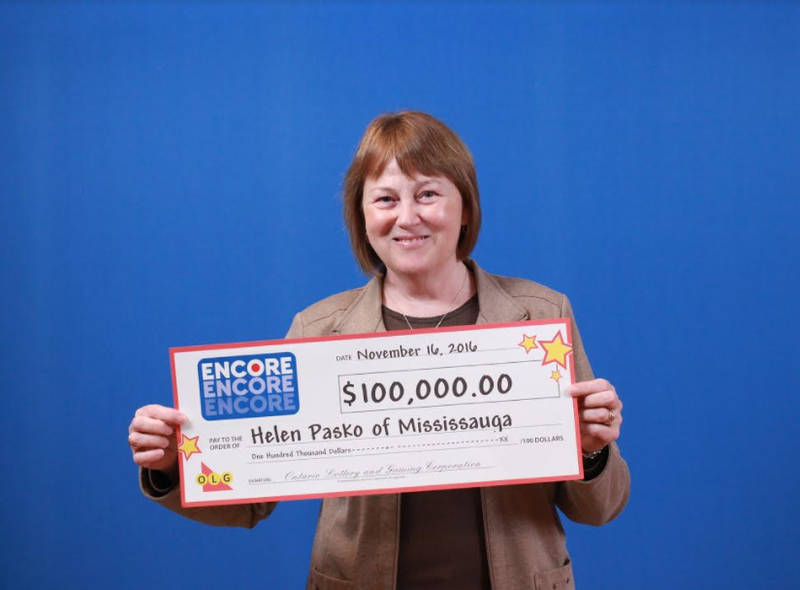 Mississauga resident Helen Pasko is seen in this OLG handout. Helen Pasko will be heading north to Muskoka, and south to Florida following a $100,000 lottery win. “Winning the lottery is the most surreal feeling. I still can’t believe it,” said Pasko. The Mississauga resident got lucky with the Oct. 21 Lotto Max draw. “The winning ticket has been in my purse for a few weeks,” Pasko said while at the OLG Prize Centre in Toronto where she picked up her winnings. The mother of two and grandmother of one says she’s already treated herself to an iPad and has more plans for her new money. “The holidays are coming and we will be celebrating our baby grandson’s first Christmas, so this will be extra special,” Pasko said. The winning ticket was purchased at the Erin Mills Town Centre lottery centre in west Mississauga.